Missing Bear posters like this one appeared all over the world. 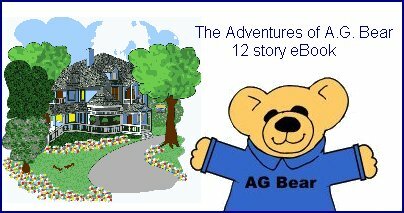 Little A.G. Bear struggles his way out of a small brown box. An alert postal worker alerted rescuers after hearing A.G.'s voice. MORE: On the road again.. A.G. will visit YOU! SMALL BROWN BEAR RESCUED FROM SMALL BROWN BOX. 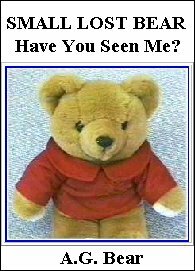 Millions rejoice as a 5 year search for a small lost teddy bear has a happy ending. 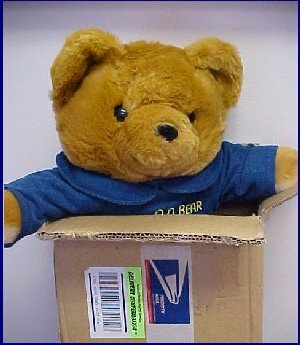 Discovered safe and sound, little A.G. Bear, the most famous talking teddy bear in the world was rescued in Florida after a U.S. postal worker reported hearing a muffled voice coming from inside a small brown box.